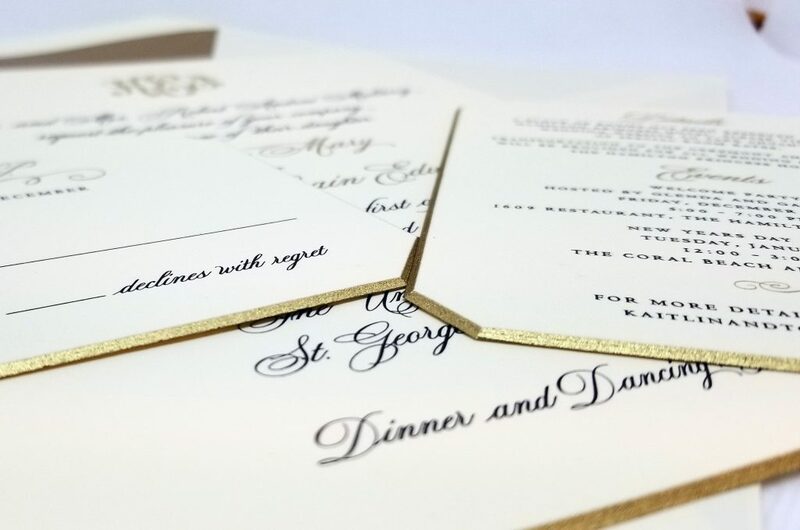 One of our most luxurious brand of wedding invitations is designed by Crane & Co. Stationery from Massachusetts. Our San Francisco couple, Kaitlin & Tommy, created this luxurious wedding invitation suite with Hyegraph for their New Year’s Day Wedding at The Hamilton Princess Hotel in Bermuda. Gold Painted Edges Wedding Invitation Suite from Crane & CO.
Kaitlin & Tommy’s destination wedding festivities were several days long, hence, we also created a separate wedding card titled, “Details” and “Events”. 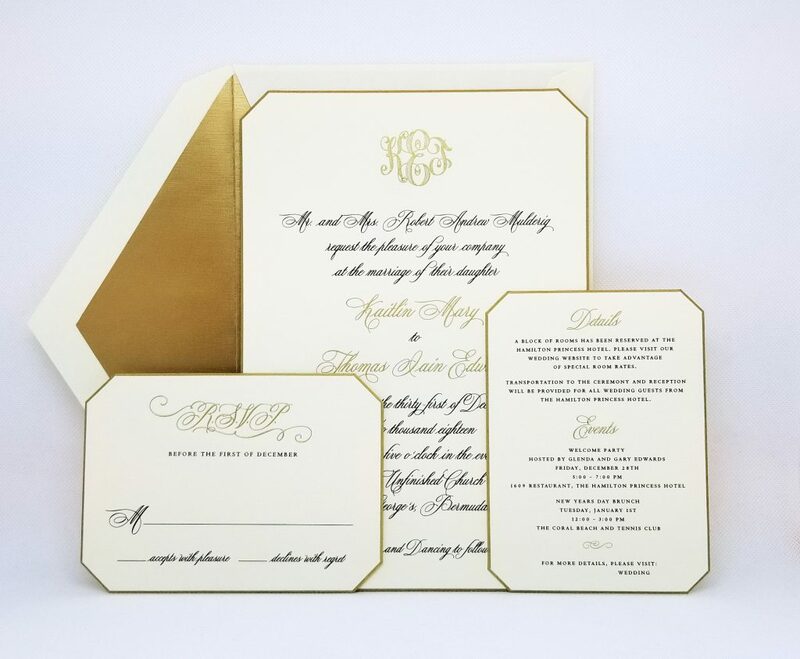 This Details and Events card matches the rest of their gold and ecru wedding invitation suite. It includes the rooms available at the destination hotel, transportation information to the wedding, and pre-wedding celebrations and activities the family had prepared for their wedding guests. 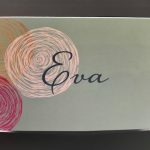 The card also specifies the couple’s website for more information where they can make any last minute changes or arrangements. The Details and Events Card is a great tool for guests to get a good idea about the wedding festivities at a glance. This is a great way to combine the essentials of a card with technology of a wedding website. 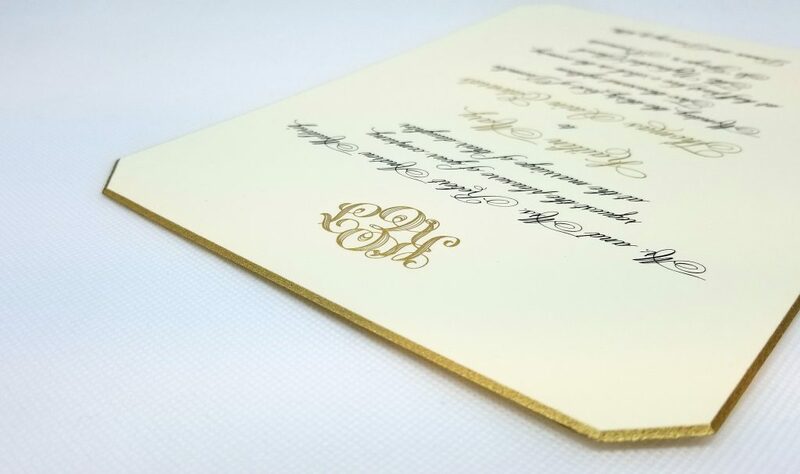 Our couple also chose Ecru Wedding invitations Envelopes with gold lining from Crane & Co. to match their die cut gold and ecru wedding invitations suite. This custom wedding invitation suite customized from Hyegraph from Crane & Co. was an exclusive choice fitting perfectly with our couple’s destination wedding in Bermuda.